While there are many websites out there devoted to recipes, the trick is to locate ones that offer specifically healthy recipes. With these sites you may find yourself finally breaking your addiction to boxed, canned and prepared meals that are full of sodium, fat and unrecognizable ingredients. Even if you are not sure which appliance in the kitchen is called the stove, you can find yourself making simple alternatives that will make you and your family healthier. From simple to gourmet, your family will thank you! You already turn to WebMD for answers to resolve health issues, why not turn to them for preventing them through a healthy diet? You’ll find tons of great articles here about all things food related. The Healthy Recipe Finder is a fantastic tool for selecting recipes. You can also browse their collection via keyword search. A great way to figure out how to use that artichoke you bought on a whim! Here is another medical source for healthy recipes that has interesting categories from which to choose in your search. You can search by number of servings, which course you are planning, what meal, the preparation method, the main ingredient or by a special diet consideration. Whether you are looking for healthy recipes for weight management, diabetes control, heart health or even the DASH diet, you’ll find plenty of options here. Although My Recipes also has non-healthy recipes, they make this list because they have a huge selection of healthy recipes – thousands! In addition they have nutrition news and smart cooking strategies. Their recipes are initially categorized into diabetic recipes, gluten free, heart healthy and vegetarian recipes. Their “What’s in Your Pantry?” feature is helpful as you can enter three items you want to use and it will locate an appropriate recipe for you. Cooking Light is a popular magazine for those that lead a healthy lifestyle and their website has a number of very useful tools for anyone wanting to lighten up on their food choices. Their weeknight meal planner is a great tool for those that want to put a healthy meal on the table in record time on those busy days during the week. The site also includes blogs and videos. Their recipe makeovers section can help you make those calorie-laden meals you love just a bit healthier for you without sacrificing flavor. This is another site offered by a magazine that can be a great help in preparing healthier meals. The meal planner and diet meal plans are tools you will absolutely fall in love with. The meal plans offer things such as a 4-week plan to lose weight, a vegetarian meal plan, a diabetes meal plan and many types of 500-calorie dinner ideas. Whether you want to put together an occasional healthy meal, or switch over to this as a continuous lifestyle, you’ll be eating well. This site is run by the George Mataljan Foundation, a not-for-profit foundation. They do not accept funding from commercial interests so are able to offer you advice for a healthier you and a healthier world without bias. The site is colorful with icons to select to take you to various features such as the food of the week, recipe of the week, nutrient of the week and much more. Scroll down to the bottom for their recipe assistant, which is quite helpful. Every day people are faced with heart conditions and turned to the American Heart Association for answers and assistance with improving their heart health. You don’t need to have heart disease to want to eat healthy for the protection of your heart. The AHA’s nutrition center can help with that with recipes for snacks, appetizers, soups, salads, side dishes, main dishes and yes, even desserts and sweets! 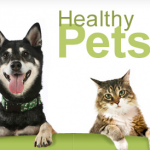 You can also sign up to receive their healthy living newsletter each month. Each recipe has a preparation video which makes it great for the cook new to the kitchen. 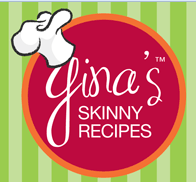 This site is the brainchild of Gina Homolka who is the author, photographer and recipe developer for the site. She features delicious and healthy recipes several times each week. She began the site back in 2008 and the site now enjoys over 2.5 million visitors each month. She also has a cookbook. You can sign up for free recipes via email as well. A nice feature is the ability to set up a recipe box and shopping list for keeping track of your favorite recipes. Good healthy eating habits are best formed as children, yet it is quite a challenge to get kids to eat anything that they think is healthy. That’s where this marvelous website comes in. With great recipes and innovative ways to get kids to eat their veggies and other good stuff, you’ll have your kids well on their way to a healthy diet and a healthy life. The site offers a blog, recipes, meal plans and more. Some features require you to have a membership which can be purchased in 3-month, 6-month or annual increments. It can be challenging to find resources if you are interested in the vegetarian, whole foods way of life but that is what you will have found in this website. There aren’t many recipes on this site in comparison to other sites, but they are incredible! You’ll find appetizers, beverages, breakfast ideas, desserts and entrees. There are plenty of pictures for each recipe to guide you in the preparation of the meal. The recipes are listed alphabetically on the recipes tab, or you can go to the category from the links on the main page. So, there you have ten sites you might not have thought about for finding fantastic healthy recipes and information about healthy lifestyles. It is never too late to start paying attention to your health and never too early to start. Treat your body like a temple and it will grant you years of quality life!